New Zealand Red Cross provided psychosocial support programmes to help Cantabrians in the wake of the traumatic February 2011 quakes. The programmes helped people restore their motivation, be positive and adjust to their new "normal" environment. 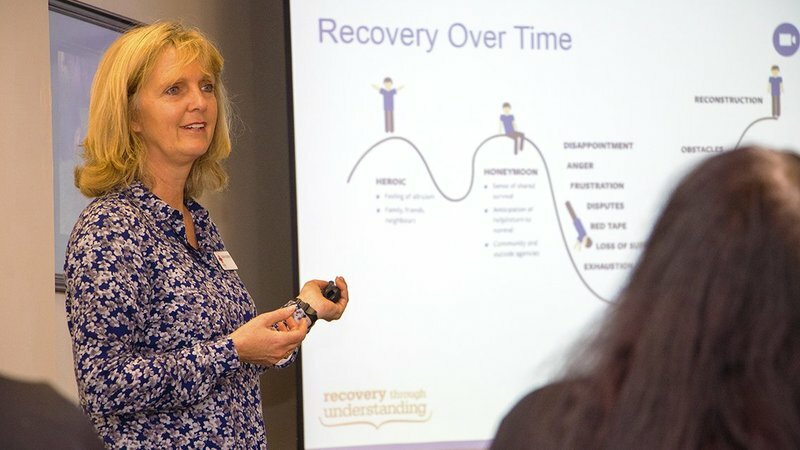 We provided free recovery workshops to businesses and non-profit/community-based organisations. Practical sessions explained the recovery process, how people respond to disasters, how to support others, handling stress, cultural awareness and communication techniques. We launched a PFA training programme in April 2016. Based on a World Health Organisation best-practice model, PFA upskills people to provide practical and emotional short-term support, reduce distress and help people connect with others after a traumatic event. Contact us for more information. The Royal Commission invited us to support those who lost loved ones or were seriously injured. The programme provided resources for families to support themselves, fostering acceptance and hope. In 2015 we helped transition this to a self-organised trust.